Maybe you've got a new initiative that needs funding, you're trying to close a deal that will skyrocket Q4 revenues, or you're just trying to keep the boss (or your boss's boss) awake during a product status update. Regardless of the content, having to make a presentation to busy, impatient, get-to-the-bottom-line executives is a reality for many people. How do you know how much information to give them? When do you keep things high-level? When do you drill down into the details? The good news, according to Janine Kurnoff, principal and founder of The Presentation Company, is that you don't have to consult with a psychic to understand what senior level stakeholders want to hear. When it comes to understanding the mindset of executives, there are some common sense guidelines that will help you keep them awake, engaged, and hopefully, open to your pitch. While it can be tempting to explain your reasoning first, that's not what executives want to hear. "If an executive can't get the gist of your story in your first 60 seconds in the room, you're doomed," Kurnoff warns. To understand why, you need insight into the executive mindset. "Executives are super-busy humans," Kurnoff explains. "When they are sitting in front of you, they're thinking of a slew of other issues: the board meeting they just came from, staffing issues, and if they're going to make it to their kid's T-ball game by 5:30. When you get your moment in front of them, they want to know exactly what you need from them, right away. If you engage them immediately, they can organize their thoughts around your message, ask questions, hasten decision-making, and move on to the next meeting. Strategically isolating your opener to the presentation of your BIG Idea helps eliminate time-wasters that derail the discussion or obscure your primary message." Instead, Kurnoff advises, "Get out your chopping block and remove any background language first. Senior execs don't have time to learn the details about your topic -- that's your job! An amateur presentation move is telling people everything you know about the topic or everything you've done to create your recommendations. Many data collectors are keen to report on the piles of research they've done, just because they worked hard to gather it. Endless pie charts and tables will quickly lose your audience if you don't quickly highlight the most important findings and turn them into a story." Remember: if management wants more detail, they can always ask. If you are doing good work for them, they trust you to be thoughtful, rational and reliable. Building on point three, Kurnoff adds, "Executives are experts at finding holes in your logic or content. In fact, many consider it their job to do this. Instead of getting thrown off course by interruptions, you should welcome them. They give you a chance to fill in details without boring the audience." How do you do this? Kurnoff explains: "Check in frequently with your audience, and invite questions at logical moments in your presentation. Get them to tell you what else they want to know about your proposal, and you won't need to channel your psychic abilities to figure out what they think of your ideas. When you know explicitly that they want more context, it's fine to back things up, and set the stage. If they are ready for your detailed solutions, by all means jump ahead and delve into the details. Executives love to drive a meeting -- and the more they do so, the more engaged they feel." Be flexible, ask for feedback, and always be ready with your supporting data. 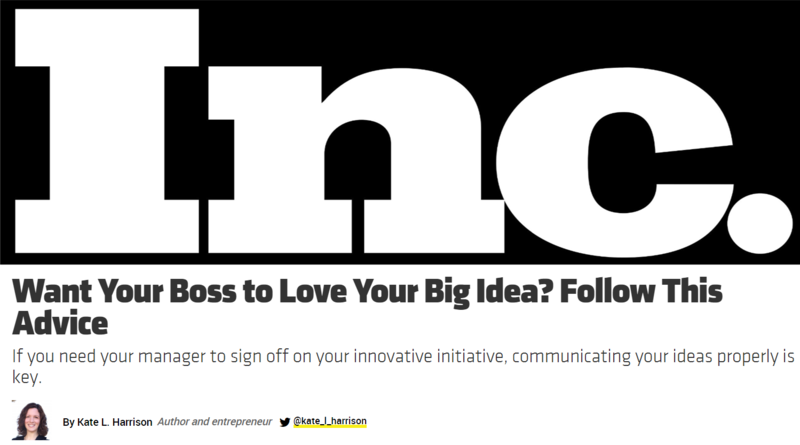 Be sure to reiterate your Big Idea along the way, and tie your research and other data back to it.